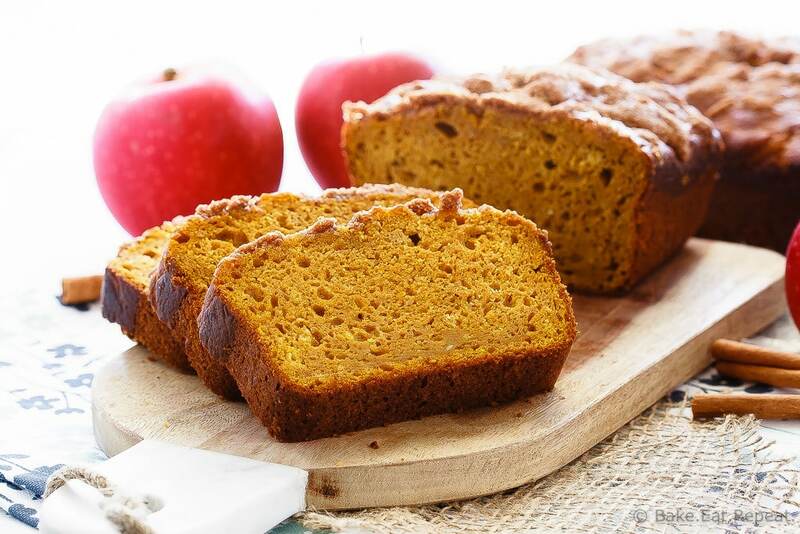 The best pumpkin bread I’ve ever made, this apple pumpkin bread is super soft on the inside, has a crunchy cinnamon topping, and is full of pumpkin flavour. I’ve made a lot of pumpkin bread. As one of my favorite treats I make at least two or three new recipes every year. I love to try different variations of it, and literally always have a loaf of it in my freezer throughout the fall months. So it’s saying something when I tell you that this is the best pumpkin bread ever. Don’t take that lightly. I make a lot of pumpkin bread. I may stop trying new recipes now, though. Because this one is seriously the best. No, scratch that. I could never stop trying new recipes. That’s impossible. Now I’ll just have to make two to three new recipes PLUS this one every year! Now I will probably try cooking the pumpkin first in absolutely every pumpkin recipe. I’ll likely be a little annoying about it and insist it’s always necessary. 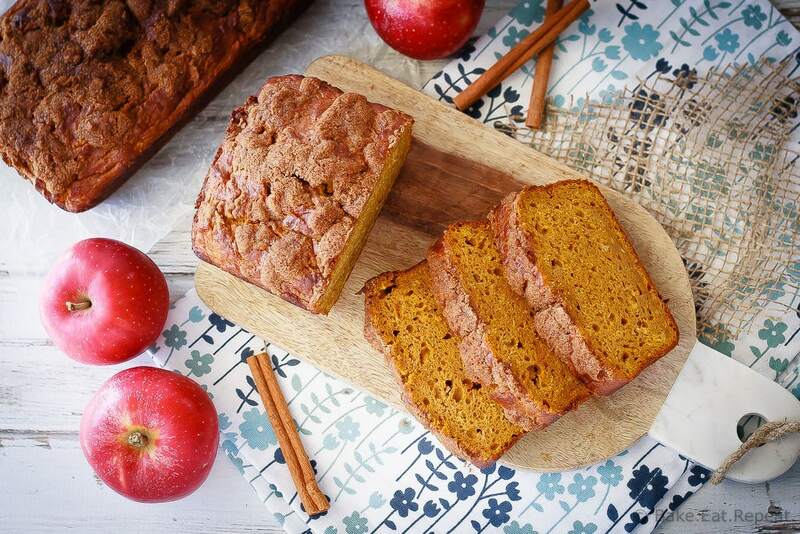 Because this apple pumpkin bread? It really is the best. It’s so soft and tender on the inside with a crunchy cinnamon topping, and so much pumpkin flavor. I could not get over how good it was. Now the only question is – how many different variations of this perfect pumpkin bread can I come up with? I clearly can’t just leave well enough alone. That’s no fun. 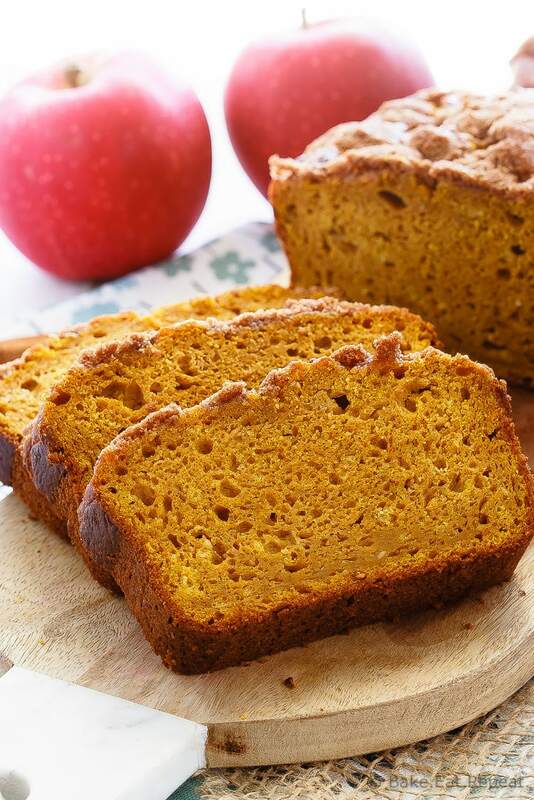 I’ve also shared this Apple Pumpkin Bread Recipe over on Food Fanatic. This pumpkin bread looks so perfect Stacey! Super moist and I love the apples -- so great for fall!